The future of The Golf Club at Stonebridge remains uncertain. The club is currently owned by Eugene Ji, who purchased it as well as the Olde Oaks Golf Club in August 2013 from the Municipal Police Employees Retirement System. Terry Petzold, president of the Stonebridge subdivision’s HOA, is concerned for the state of the golf course. “It’s about the community, because it’s like our neighbor. Two-thirds of the homeowners live on the golf course, and it’s kind of like having a neighbor that has bad grass or they don’t attend to anything. Those people would complain about their neighbor, and the same thing would happen with Stonebridge,” Petzold said. He and his neighbors have seen diminished attendance at the course and its facilities due to what he identifies as poor management. The caliber of the course’s landscaping has begun to decline while the pro shop is not expanding as was anticipated. He says the quality of the restaurant has also deteriorated and does not draw the same attendance it used to. There has also been a rise in cost for club membership, which is now in the mid-$400 per month range. With a round of golf costing only $55, this means a member would have to play almost eight times each month to break even with the dues. Petzold noted the Olde Oaks Golf Club has seen an even greater worsening of conditions at their course, and he fears that Stonebridge’s course could be headed for the same neglect. “It is embarrassing,” Petzold said. “And if we’re going to go based on his previous success with Olde Oaks, I’m already seeing a decline. As the president of the HOA, Petzold went to the homeowners for help. In April, he proposed at their annual meeting that the residents collectively purchase the course for the cost of $10,000 per household. Petzold also secured financing from a local bank, with no credit check, for homeowners that did not wish to pay in a lump sum but in monthly payments over a 20-year period. It is in the covenants of the Stonebridge HOA that there must be 90-percent approval from the 316 homeowner ballots for any changes to be made. Only 179 ballots were collected in late May with 110 “No” votes and 69 “Yes” votes. Even if Petzold were to seek out the missing 137 ballots, the proposal would not be able to reach the required 284 “Yes” votes to pass. So for now, the Golf Club at Stonebridge will continue to be watched by the Stonebridge subdivision residents as rumors abound about its future. Some say that there might be a private purchase or a buyout by a larger company or investment firm. They even speculate that Mr. Ji intends to build a multi-unit/multi-floor complex for hundreds of international exchange students on the course. Petzold told homeowners at the April meeting that if this proposal did not get voted through, that he would not pursue the matter any further. No other place in Bossier City I’d rather live! Great people, great community! I’m not sure how this story is newsworthy, but more than one resident should have been interviewed for this article. Unfortunately, the president of the HOA is more publicly complimentary of Shreveport, where he works, than he is of the neighborhood where he lives in Bossier City. 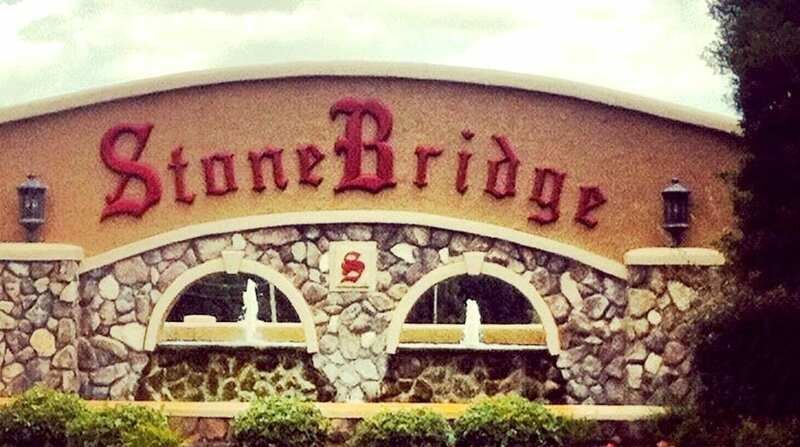 In contrast, StoneBridge is a great, conveniently located, safe place to live. This article is not representative of our community. If he is more complimentary to Shreveport, than why does he take time out of his busy schedule to be on the board of the Bossier Chamber and Bossier innovates , and why was he voted Bossier’s business man of the year for all he has done to promote the growth of this city. It’s sad to me that people we thought were neighbors and friends attack on Facebook but can’t come to us face to face in a friendly manner to discuss their concerns. He took on the role of HOA president because he was asked by his peers and because he thought he was doing good and helping. If anything is going to take down our neighborhood, it’s going to be this constant negativity by people hiding behind their computer screens instead of getting out there and loving your neighbor like God commanded. Your comments about the HOA president are not accurate. He loves his neighborhood and the ENTIRE Shreveport/Bossier community. He has brought so many jobs to this community and is a problem solver. The reality is that people working together face to face would be way more productive than sharing opinions on Facebook. Yes, Bossier Press should have interviewed more people. Yes, Facts and statistics are important. But people are always the most important. I’m truly sorry I offended you by expressing my disappointment with the opinions that were shared in this article. Just like you wanted to publicly defend Terry, I wanted to publicly defend the neighborhood and its value despite the golf course situation. I would be glad to talk with any of you personally if there is more that needs to be said. The information in this article is based on some opinions rather than facts or statistics. i.e., no one has given stats to support a suggested decrease in golf activity or if the up & down home prices are a result of the course condition or just a 20 year old neighborhood with lots of houses for sale. Also, I believe if Mr Ji wanted to build multi unit housing, he would have to pursue a zoning change which would include public input. Whether course is affecting the homes or not and whether or not it’s a good idea for the neighborhood to buy the course, all information should be based on facts and statistics rather than opinions & rumors. This article only increases speculation and reduces confidence in the value of our community.